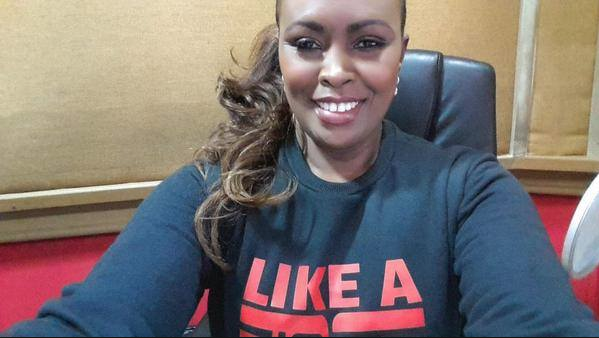 Last week blogger robert alai posted some nasty things about former radio presenter caroline Mutoko. But one thing that might have made caroline angry was the fact that alai called her a whore, who screwed everyone on her way up. And although Caroline decided not to argue with alai, there is no doubt she must have felt pretty bad about it. The former radio queen is currently 42 years old and according to Robert Alai, she has been promiscuous all her life, using her body to get money and favors and no wonder most of the guys have just been using her. But Mutoko is still hopeful that maybe she will get someone who loves her and want to settle down, check out her tweet.